Thomas Cook is an iconic name among British travel agencies. Its new CEO Harriet Green faces tough times for the travel sector as well as having to deal with a resilient corporate culture. Some years ago I researched the company after reading a historical biography. I was struck by the corporate culture, which reminded me of the provincial ‘assurance companies’ at the time, loyal staff, solid and traditional in its values. Harriet Green faces interesting challenges. A recent interview in The Independent sketches the leader and her possible dilemmas. The shelves are wedged with books, as you would expect for a history graduate, and another nod to the past is mounted on the wall overlooking Ms Green’s shoulder: a sepia-tinted portrait of Thomas Cook himself. She hopes to take a leaf out of the founder’s book. In 1841, the Baptist preacher arranged to take a group of temperance campaigners to a rally 11 miles away, charging a shilling each to cover rail fare and food. More innovation followed over the decades. Thomas Cook was the first company to develop travellers’ cheques, a low-cost airline and the round-the-world trip. Now Ms Green is leading the march for new products beyond the company’s sun, sea and sangria core. That means city breaks and winter sun and catering better for discrete categories of holidaymaker, such as Nordic divorcees. She has closed shops but refashioned others, which look “a lot more Apple than travel”. Sunseekers can now load their vacation wishes on to an iPad and take them home to discuss with the family. Ms Green has been vocal about women putting themselves forward for top jobs, and wrote to Frank Meysman, Thomas Cook’s chairman, to tell him she had the skills he needed even though her background was in electronics, not travel. “I felt I had enough experience, that I would be pacy, resilient and be able to generate belief,” she says. Thomas Cook shares fell when her appointment was announced – but have risen tenfold now. Ms Green climbed the corporate ladder starting as a trainee at Macro, which distributed semiconductors, and rising to be UK managing director. Her next company, Arrow Electronics, gave her a larger canvas. After setting up its European network, she travelled to Africa, Asia and America. 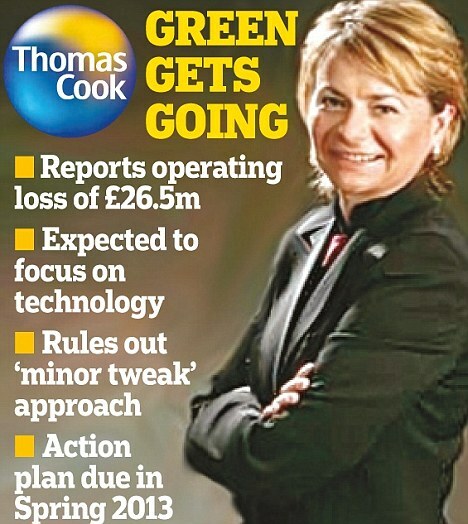 Ms Green has shaken up her senior team at Thomas Cook, with a third of her lieutenants promoted from within and a third new appointments. Some aspects of culture in the company seem to have survived. I noted the mention of the founder’s portrait in the article cited above. It’s the one that was an ever-present ghost of Thomas Cook in the old corporate headquarters. As for emails: I applaud Harriet Green’s energy. But with 30,000 staff with direct access, I wondered about the cultural discouragements still present to deter most employees attempting to communicate ‘over’ a line manager. Maybe that’s how the emails arrive in manageable numbers each day? Over 600 blog posts had been published on this site by January 2011. A house-style had emerged. New authors are encouraged to find the sort of post they would like to emulate and follow its structure, using the hints suggested here. LWD posts have been modelled to some degree on the style to be found in that excellent publication The Economist. A plain (sometimes disparagingly called a vanilla) format is recommended for inexperienced bloggers to submit material to LWD. A simple word document will do. Can I submit in WordPress format? Yes. Experienced authors can prepare a post using a document prepared for saving as a WordPress post. To do this, you first have set up your own WordPress blog, and write to its Edit Post facility. The result will then have all WordPress embeds (bold, itals, even images). You can publish on the same blog, and/or save and paste the content to submit to LWD. Starting a WordPress blog is easy and free. Our typical posts are about 600 words long. We welcome briefer posts (it’s harder to be concise than to be verbose). We rarely accept extended posts, as these may be too contrary to LWD style. A post in LWD typically examines a single issue (not a range of diverse personal thoughts, as might appear in a diary e-journal). The topic or issue that you write about will have a central idea which often connects with a contemporary news story. Sometimes a quote from the earlier text helps. By adding a link to that post you retain important accurate information. You can (and are advised to) add value for the reader to the contemporary story you are dealing with. You can add value by taking a news item further, drawing on personal experience. Another good way of adding value is to show how the story you are writing about connects to some prevailing concept of leadership. It a topic interests you, it is likely to interest others. Get into the habit of story-telling, which is a skill you can develop through writing, but also through conversations as well as more formal presentations. You can see the news stories which caught the eye of the Editor by looking at the entries saved to del.icio.us (on the Right Hand side-bar of every LWD post). The first paragraph or taster is often picked up by web-searches. A brief introduction which acts as an invite or teaser (‘there’s more to come’) helps. Forty words or less is to be preferred. This will appear in Bold face in the published post. It is a good habit to be self-critical and edit your post as if it were to be submitted for a prize. It’s worth the effort. The ‘right first time’ approach rarely works. For example, this page will be saved in draft form, and re-drafted to smooth out the worse parts of the style with help from spell checker and sometimes colleagues. This advice is particularly important if you want your post to attract interest and maybe be re-sent to others (the basis of viral marketing). Key items for web-searchers are the links you create in your post. If you don’t know, a link or URL is made by pasting the identifier (URL) of any web story you refer to. The URL is what is clicked to get a reader of the post back to the story. The process is the same as cutting and pasting any piece of computer-generated text. Creative writing breaks rules. You may want to break some of the rules in the interest of producing your personal style or just to be different. This is how innovation occurs. On the other hand, the rules help get you started, and increase your chances of a smooth process of acceptance of your posts. You can provide information briefly about yourself as you might do for any social media site. See posts in LWD for examples. The information is added to the end of the post. You can submit your proposed post at present by email [trickards@mbs.ac.uk], or you can send a comment to any LWD post, indicating your interest in providing content for a future post. Last twitter tweet for now. Twitter will split into several services whose form and function will be shaped by us the tweeters. A more formal analysis on how Twitter makes money came from The Sydney Morning Herald. This triggered the Tweets above. As you may have heard, Twitter has filed for a confidential initial public offering of stock, so in case you aren’t too familiar with the company, here are five quick things you should know. As this is examination season, I have added brief notes for leadership students. Lawyers acting for David Miranda, the partner of journalist Glenn Greenwald, said they will bring his case to the High Court in London on Thursday [Aug 22 2013] after he was detained at Heathrow Airport. Greenwald, who works for The Guardian newspaper, has been at the forefront of high-profile reports exposing secrets in U.S. intelligence programs, based on leaks from former U.S. National Security Agency contractor Edward Snowden. Miranda, a Brazilian citizen, spent nearly nine hours in detention Sunday being questioned under a provision of Britain’s terrorism laws. He was stopped as he passed through London on his way from Berlin to his home in Brazil. For students of leadership, we have here a typical ‘story within a story’. An examination of the dilemmas facing the various leaders involved is a worthwhile exercise. In India, Narendra Dabholkar an advocate of rationality and a kind of Indian Richard Dawkins is killed. The story is being presented as the fate of a modernizing leader threatening traditional ‘superstitions’ and perhaps being killed for his views. This is a version of the dilemmas facing reforming and charismatic leaders. Another UK story. The ‘Best and worse Pensions providers’ are named. I would argue that the review is valuable information, but needs to be recognized as being about ‘best current yield’ rather than ‘best Pension’ providers. The article, to appear in this summer’s issue of The Journal of Corporate Citizenship,is a prelude to a forthcoming book titled The Flourishing Enterprise: Connecting Sustainability and Spirituality. It will be the final product of the Fellows’ research and careful thought on “the journey to a greater sense of connectedness” as central to business success. The idea is that if individuals can find and create spiritual contentment in their organization, they can enrich their whole organization and help others flourish as well. The journey to a flourishing organization begins with the self. The Fellows argue that since knowledge workers’ productivity is deeply influenced by the workers’ inner states, cultivating optimal internal states becomes the responsibility of management. Appreciative Inquiry is an excellent tool to cultivate reflection on the best of what is and to co-create the best of what could be. Created at the Weatherhead School [Case Western University] Appreciative Inquiry is a strength-based approach to whole systems change and is an excellent tool for creating large systemic change. The Fowler Center hopes that its work will proliferate and create deep meaningful conversations about ways to transform businesses into agents of world benefit–where flourishing individuals create flourishing organizations that lead to a flourishing world. News of the death of Margaret Thatcher [8th April 2013] confirmed her iconic status, and the aptness of the title of the recent film about her The Iron Lady. The posthumous comments of those who knew her brought back my own fragmented memories. These include her substantial political achievements from humble origins; her wresting of power to become a formidable global figure noted for her robustness and straight speaking; her contribution addressing economic weaknesses (‘the British disease’) at home, her tireless efforts fighting to retain the status of her country abroad, and her deep suspicions over Europe’s regional direction of change. A leader for our times? Even today, I find my executive students mostly admiring of her no-nonsense confrontational leadership style. Admiration seems to grow, the further you go from the UK. Japan, China [with muted reservations in Hong Kong], India, and The United States would provide examples of different cultures recognizing her unique leadership characteristics. Her first speech as Prime Minister on the steps of Downing Street has been replayed many times in the last twenty four hours. It was allowed to speak for itself. Her choice of quotation from St Francis seemed as inappropriate from her as it might have been appropriate from the New Pope: “Where there is discord let there be harmony…” For me, the speech captures a shadow-side of Mrs Thatcher and her mask of command, and an insensitivity to the ironic. At her death she remained a deeply divisive figure in the UK. It was 1983 and the run-up to the general election. In the Nationwide studio at BBC TV Centre, Sue Lawley was hosting a live phone-in with Prime Minister Margaret Thatcher, who was confidently looking forward to a second term of office for the Conservatives. Revealing a geography teacher’s precision, Gould persisted. “It was on a bearing of 280 and it was already west of the Falklands, so I cannot see how you can say it was not sailing away from the Falklands. Rattled, Thatcher blustered about the exclusion zone, but Gould came back with the “north of West” bearing and would not let it drop until Gould was faded out. She became an overnight heroine: the woman who stood up to Thatcher, virtually accusing her of a war crime. 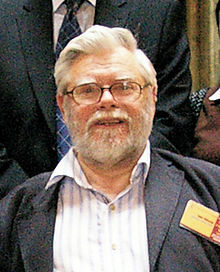 Thatcher was furious, and relations between government and the BBC were soured through the 1980s. The UK, like the rest of the world, followed the inauguration. An estimated 40 million people watched [see the figures for Armstrong and Whitney, below]. A video of the 18 minute speech is available. Initial reactions seem to be that the president will take steps to counter what he sees as obstruction to his policies by political opponents in the Senate. The speech signals this intention specifically on actions to preserve the environment, supporting human rights, and strengthening gun controls. This story is one which I believe will recur over the next few months, as a matter of corporate social responsibilities. Attention has been drawn to bullying and possibly illegal means through which organizations prevent employees from speaking out concerning their working conditions. The sanctions include the blacklisting of uncooperative employees from future employment. The examples suggest the practice has been widespread in some industries such as construction where part-time and supply work is common. The hero to zero story of Lance Armstrong played out as a full-blown televised confessional between Armstrong and Oprah Winfrey. It was watched by 28 million people worldwide. The charismatic figure considered the greatest cyclist of his generation once acquired cult status. Eventually he was revealed as a drug cheat who dragged his sport into disrepute. I like to describe leadership in terms of dilemmas. In chess terms, Armstrong moved not because he could or because he wanted to, but because he was forced to by a build up of stories against him. The ‘Apps for Apes’ project came into being [in a Milwaukee zoo] because orangutans need constant stimulation – otherwise they become bored or depressed. 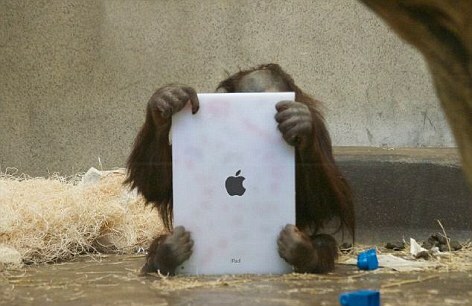 Previous experiments have proved that the animals have an innate ability to use touchscreens. ‘The original idea came literally when Steve Jobs gave his opening presentation introducing the iPad,’ said conservationist Richard Zimmerman. You may find a story for a leadership blog within these five items. Try to focus on a specific theme, and bring out its leadership implications around a critical incident.